This powerful two-part album consists of a talk and a meditation. Mira guides you through the feelings and questions faced while exploring the topic of love. Delve into the true nature of your insecurities, self-image, confidence and personal misconceptions. Mira will help you understand your relationship and to understand your patterns and challenges in meeting your need for love. With her help you will redefine your core beliefs and reaffirm that you are worthy of unconditional love and support. 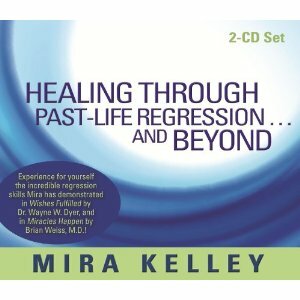 Mira approaches this presentation on love with the additional perspective of her expertise on past life regression. She uses engaging stories and wisdom to explain the powerful truths about our immortal souls and their connections to each other from one lifetime to the next. You will come away from this talk and meditation having grown in your ability to receive love and support in your life. Download Allowing Love today—allow yourself to receive love and all the gifts of the Universe! Note: This is the mp3 version of the album, available to listen online or download immediately after purchasing. To purchase the physical CD version of the album, please go here.